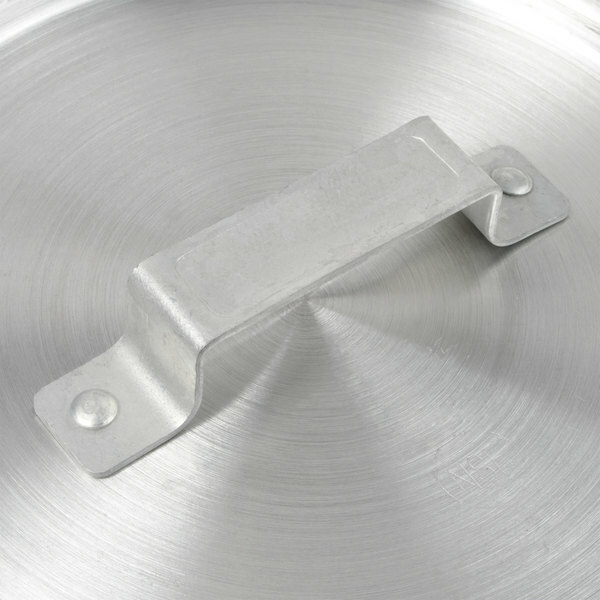 This aluminum pot / pan cover is constructed of heavy-gauge reinforced 2 mm thick aluminum and is specifically designed for high-volume use. 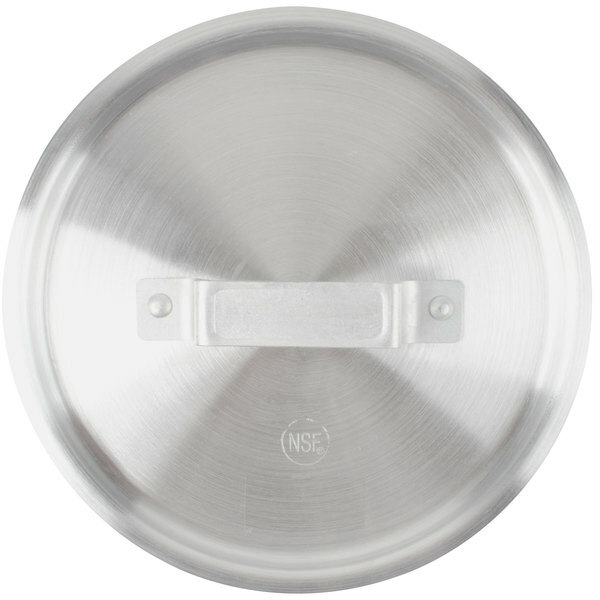 Ideal for stockpots, it will fit many pots or pans with a 8" top diameter. 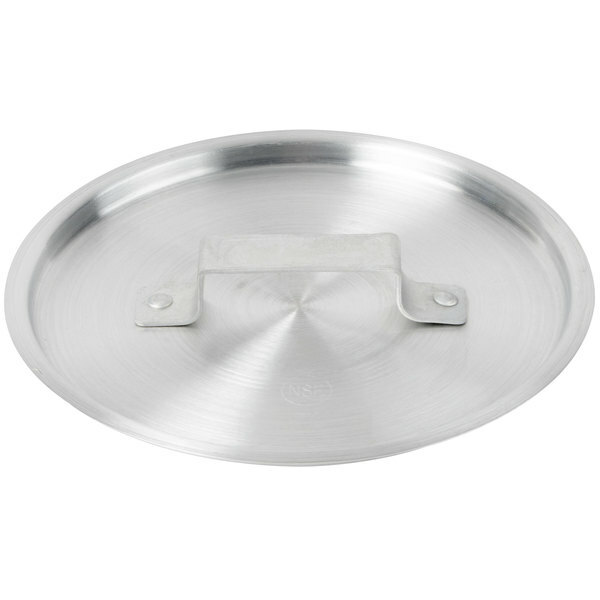 Vollrath 77682 Stainless Steel Pot / Pan Cover - 14"
Webstaurant's Aluminum Pot / Pan Cover's are a professional quality product at an affordable price. The handles are a little rough and can get hot. Being in he profession for more than 30 years, I can highly recommend this product. 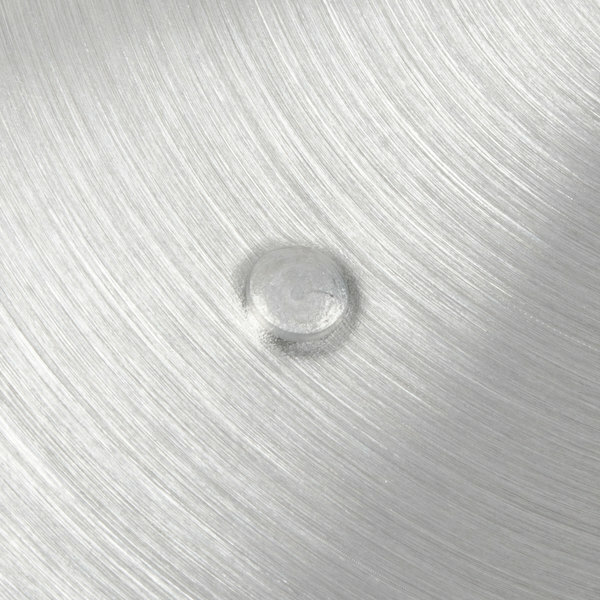 This is the lid we use for the 2.5-qt and the 3.75-qt non-stick sauce pans we also bought from webrestaurantstore.com. It fit quite good and it makes cooking faster because it's covered. I purchase a steel drum with the corresponding pot. Same build quality and construction as the pot I will definitely recommend. Thank you webstaurant store for a low and the quality of this item. 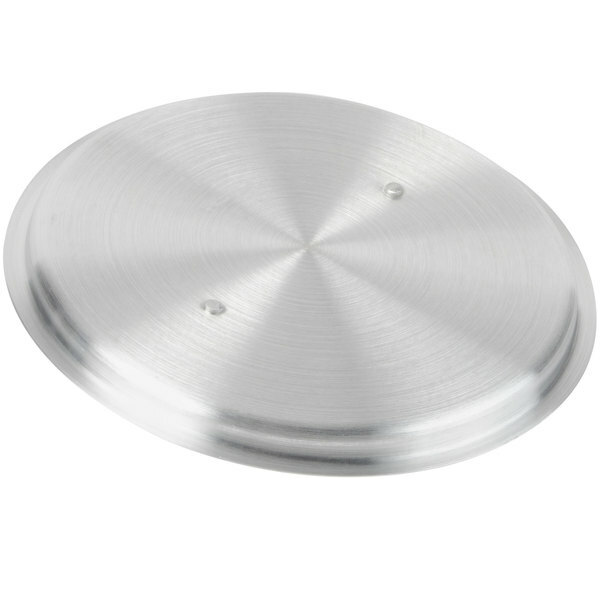 Started doing eggs to order in our dining room and these work great for those that require a basted egg. simply turn the heat up, drop an ice cube in with the sunny side up and cover. Works perfectly. The lid fits snugly onto pretty much anything near 8". 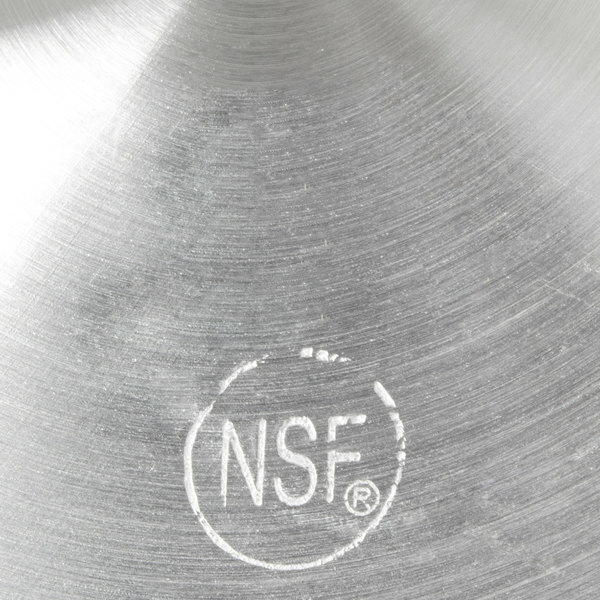 I use it on my 5.5 qt tapered aluminum sauce pan I got from here, but also on my 8" cast iron skillets and teflon pans. I will say that the handle is a little rough, in that it just feels like it was stamped out of a sheet of metal and slapped on the top. However, it's not sharp enough to cause any discomfort, and I'm usually using a rag to handle it anyway since it does get hot during use. 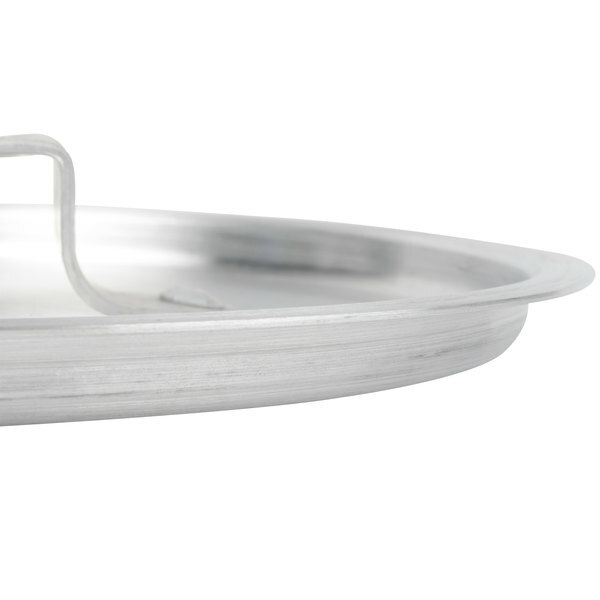 An excellent choice for a pot that came without a lid or if you're replacing a lost lid. Fits my 2.75 quart aluminum saucepan, also bought here. It fits fine, and while the edges so hang over the sides of the pan, I'm not splitting hairs over it. It covers the pan, and helps water boil faster, fine product. I really like this lid however the one thing I don't like about it is how hot the handle gets. I forget that I need tongs or a oven mit to remove the lid while cooking. THIS IS A QUALITY PRODUCT MADE WELL, AND WILL GIVE MANY YEARS OF USE. 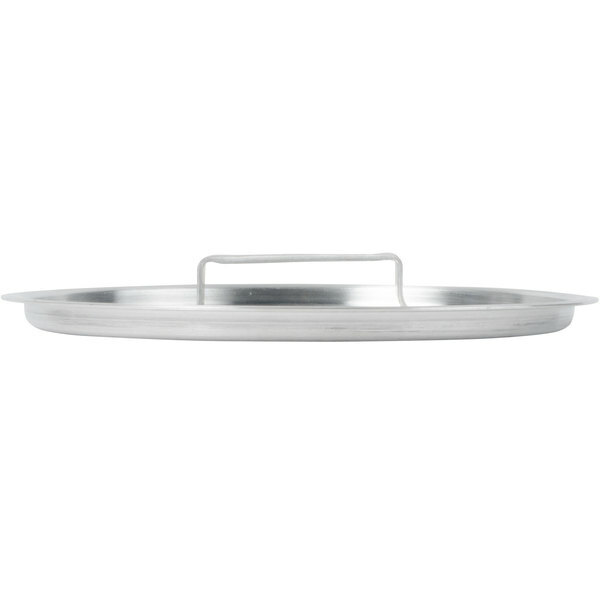 PURCHASE THE PAN TO CREATE A GREAT SET WITH NICE APPEARANCE.